Didn’t Everyone Know Sloppy Steve Was the Leaker? RUSH: Trump has been busy tweeting. Last night just before midnight, Trump, “I authorized zero access to the White House. I actually turned down this author many times. I never spoke with him for the book. It’s full of lies, misrepresentations, and sources that don’t exist. Look at this guy’s past and watch what happens to him and Sloppy Steve.” So Bannon has now earned a Trumpian nickname. When that happens to you, that’s not good. I mean, Crooked Hillary will always now forever be known as Crooked Hillary. To a certain extent, Lyin’ Ted, I mean, he’s always gonna have that moniker. And now Sloppy Steve. So Trump is on the Twitter warpath over all this. I want to circle back here to the program yesterday. I made mention of the fact that I had heard a number of things and knew certain other things, and I decided yesterday with the revelation of this book to start repeating the things I had heard from a number of sources that I thought to be true, that I had not shared before. Some of it admittedly gossip, and I’m very uncomfortable trafficking in gossip. 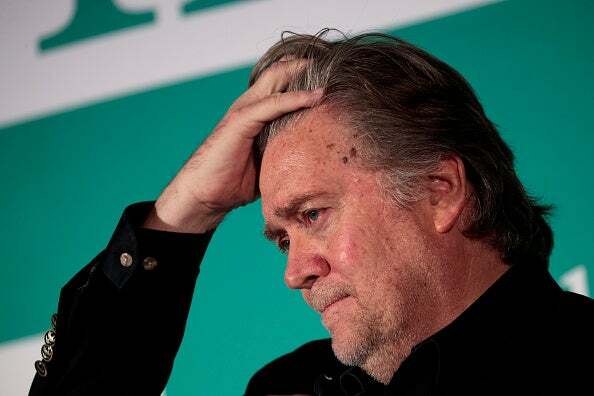 One of the things that I happened to mention yesterday was that everybody knows, or has known, that most of the leaking coming out of the White House had been Steve Bannon. You’d be stunned at the number of people who knew. Bannon was spending so much time with Maggie Haberman at the New York Times. He was spending a lot of time with people at The Politico. Everybody knew this, and I by no means was the only one saying it. (chuckling) But you wouldn’t know that if you’re watching Fox & Friends today because, apparently, I’m the only guy who’s made this public! I got an email today, “You’ve been mentioned twice on Fox & Friends for calling Bannon the leaker.” I said, “So? Why me?” “I don’t know. I’m just reporting it.” So I came in, and Snerdley mentioned this. I said, “What is this?” “You are the one with the most authority saying it.” “Oh,” I said, “Come on! People have been printing this in their blogs all over for months.” He said, “They’re not you.” I still don’t get it. We go to the audio sound bites. 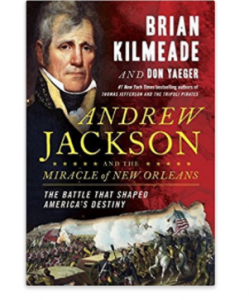 Fox & Friends, Brian Kilmeade today… By the way, Kilmeade has a new book out. I got a copy of it while I was away on vacation. Actually, I brought it in. It’s on my desk at home. Well, find it. It’s about Andrew Jackson. We’ll find the name of it here in a minute. One of my crack researchers, I’m sure, is now Googling Amazon trying to find the name of the Kilmeade book and we’ll have it. Anyway, Kilmeade and Doocy are speaking about my comments about Steve Bannon being a leaker, a source of leaks at the White House. They had this exchange, and they played the clip from yesterday’s program. KILMEADE: And then he went a commercial. DOOCY: I recognize that music. 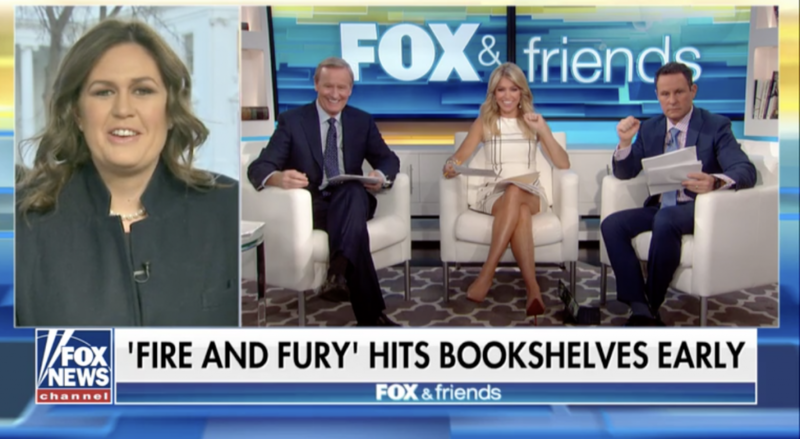 DOOCY: I think what the president has learned with this book coming out is in Washington, D.C., you hire some of the professional people who’ve been in Washington for years; there is absolutely zero loyalty. RUSH: All right. Now, that comment by Doocy is going to spawn an entire theme here on this program. I’m not gonna go wall to wall with it, but I’m gonna keep building on this theme that’s developed after this book here that Trump is moron, that everybody thinks he’s a moron, that a hundred percent of the people around him think he’s a child. I’m gonna share some personal experiences. I’m gonna blow this out of the water. It’s patently absurd. I mean, this is panic-level absurd. This is beyond-the-pale absurd. He’s talking about people like Reince Priebus and any of the others who have ties to the establishment in Washington, either party, and that would be a lot of people on Trump’s team. Not everybody. And Doocy’s point is that Trump is probably learning here that he should have kept his own people from his private life and moved them in with him once he got to Washington because he knew he could trust them. But I know what happened here. I know exactly what happened. Trump wanted — “fit in” is the wrong term. Trump’s respectful. And he’s also of the belief that if you need something done, that you go out and hire people who know how to do it, the experts and so forth. And in his circle, there aren’t any experts of people working in Washington. They are already in Washington. And I’ll tell you, I can relate to this. I’m gonna take you back — what Doocy’s saying is probably true, that Trump is learning that he made some bad hires here. I did the same thing when I did my TV show. Now, I’m not gonna mention any names and the purpose of this is not to be critical of anybody. This is nothing more than a teachable moment. I’d been doing the radio show for four years when I was approached to do a syndicated television show. I was approached in ’91, but the thing debuted in 1992, so I had four years of this under my belt, and I had four years’ experience in dealing with the problems that generated by controversy. They’re absurd problems, but they exist, and we had to find ways around that to grow the business. So when the TV people came calling, they were nobody that had any experience with me on the radio show. They were totally TV people. I deferred to them because these people had all kinds of successful TV shows on the air. And I hadn’t done TV. So I said, “Okay. You guys know what you’re doing, and I will invest in you to go out and do it.” And I’m talking about the business side of things. And they were clueless because they had never worked with anybody like me. They thought they had. It’s not that they didn’t try; don’t misunderstand. The point is that I subordinated what I had learned under the mistaken belief that somebody knew more than I did about what I do, because it was TV. And it took two years to overcome some of those obstacles. ‘Cause no matter how hard I tried to explain it, the TV people, there’s a gap. And at the time this was syndicated. This is not a cable news show. Cable news is a totally different animal than syndicated television shows, syndicated like Phil Donahue, Sally Jessy Raphael, Judge Judy, Dr. Phil, those are different animals than cable TV. They’re different business models. I made the mistake, and it was a well-intentioned mistake, it was a mistake born of respect for the TV people. They know what they’re doing. But it turned out they didn’t. And they thought that, likewise, they would be able to plug me into their existing business models and so forth, and it would all work. They had no idea what they were going to be up against. And I mistakenly deferred to that. Everybody involved was well-intentioned; don’t misunderstand. There was no subterfuge here. But it taught me something: Don’t rely on anybody else to know more than you know when you are an expert at what you. Do not assume that somebody always knows more. Do not assume that somebody’s smarter than you are. And I think — and I’m wild guessing here — but I think one of the things that happened to Trump is that he deferred to what he thought were professional political people who knew how to get things done in Washington, something he didn’t know how to do, but he did know how to do it in his world. And what we’re seeing here is the result. Rather than people trying to help him, he ended up hiring a bunch of people that wanted to undermine him. Essentially, he brought the wolves into the henhouse. Well-intentioned, trying to be respectful, trying to be good, loyal party guy. Reince Priebus, RNC chairman. Priebus was also leaking, I’m told. So I think Doocy’s comments may be more on point than even Doocy knows. And Doocy’s a bright guy. “I think what the president has learned with this book coming out, you hire some of the professional people that have been in Washington for years. There’s no loyalty.” It’s not that there’s just no loyalty. You’re hiring people that wish you weren’t there and are gonna do everything they can to undermine you, and I don’t doubt that that happened. RUSH: Right. Here’s Ainsley Earhardt. This is the follow-up Fox News segment after they had aired the clip of yesterday’s program where I identified Bannon as one of the primary leakers. I didn’t identify — look, I’m not gonna make a big deal out of this, but let’s just I was shocked when I was the one cited. Nobody else had the guts to be used? Is that it? Anyway, so the segment continued. Ainsley Earhardt then turned to the White House Press Secretary, Sarah Huckabee Sanders. EARHART: This morning we had Rush Limbaugh saying in a sound bite from his radio show yesterday that Steve Bannon was the leaker in the White House. Is there truth to that? SANDERS: Look, I think we all know that he spent a lot of time with reporters. I think he spent a lot more time with reporters than he ever did with the president, and I think that’s very telling. One of the most important things that you can do when you’re working in any capacity, but especially in politics, is to be loyal. And I think we’ve seen a side that is, frankly, very, very disappointing. RUSH: Well! That’s kind of dancing around the whole thing there, but I think we get the drift. And then Special Report with Bret Baier. This is the All-Star Panel last night. They had Tom Bevan from Real Clear Politics, Mollie Hemingway from The Federalist, and they’re talking about the Wolff book. BAIER: Rush Limbaugh weighing in on the publisher moving the date up. RUSH ARCHIVE: That’s the best promotion a book could get! You have your lawyer send the publisher a threatening letter, “You better not publish that!” All that does is make everybody, “Whoa. What is in this sucker?” They want to go out and read it before it’s published, they get copies of it however they can. So that’s the best promotion the book could have. BAIER: All of the coverage, really, that his come from the White House about this book has been quite something to watch. 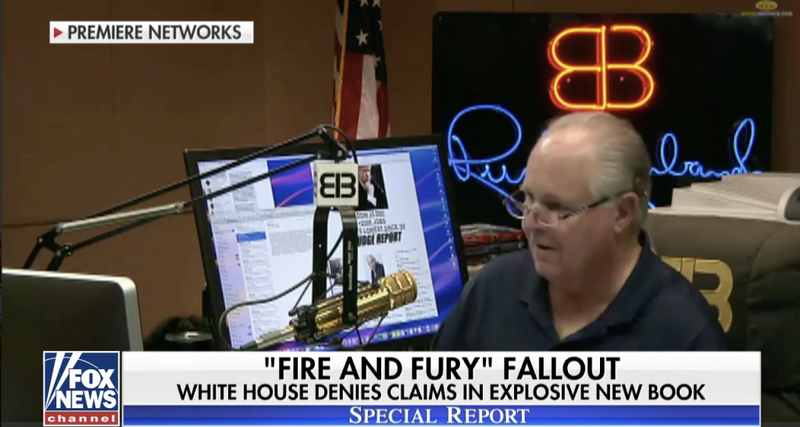 RUSH: Now, there’s an argument going on, they shouldn’t have responded. White House shouldn’t have responded. Okay, let’s play that. What if they had not? What if even now, 24, 36 hours later, if the White House hadn’t said a word about this, what would everybody be saying? (interruption) No. No. They would have been saying, “It must have been true. Trump’s not denying it. It must be true.” So Trump had no choice but to come out and try to blow this to smithereens. It’s a calculated risk. I mean, they know doing so is gonna hype the book, but they have to get their flavor of it out there if they have a chance of dealing with it.